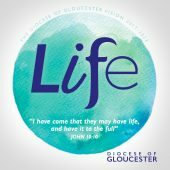 Our termly Quiet Days are for anyone involved with parish ministry; we particularly encourage clergy to depart from their usual busyness to have some quality time for themselves with God. These days are guided but do allow time for reflection and to listen for God as our souls are shaped and renewed. They are vital for re-energising and re-focusing, and help to keep the balance in life between being and doing. Led by officers from the Department of Mission and Ministry. Please bring a packed lunch. We ask for a £10 donation.